Digitalize seu fluxo de trabalho de gerenciamento AV. Fluxos de trabalho digitais para atividades diárias perfeitas. De graça e fácil de usar. Sennheiser G3 wireless microphones work seamlessly with Crestron media controllers, making the microphone easy to operate even in the most challenging environments. 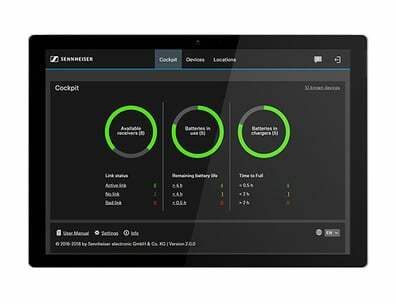 Sennheiser 2000 series wireless microphones work seamlessly with Crestron media controllers, making the microphone easy to operate even in the most challenging environments.